Where there’s smoke, there is often flame. Unfortunately, HBO’s new adaptation of the classic novel, Fahrenheit 451, is all smoke and no flame. 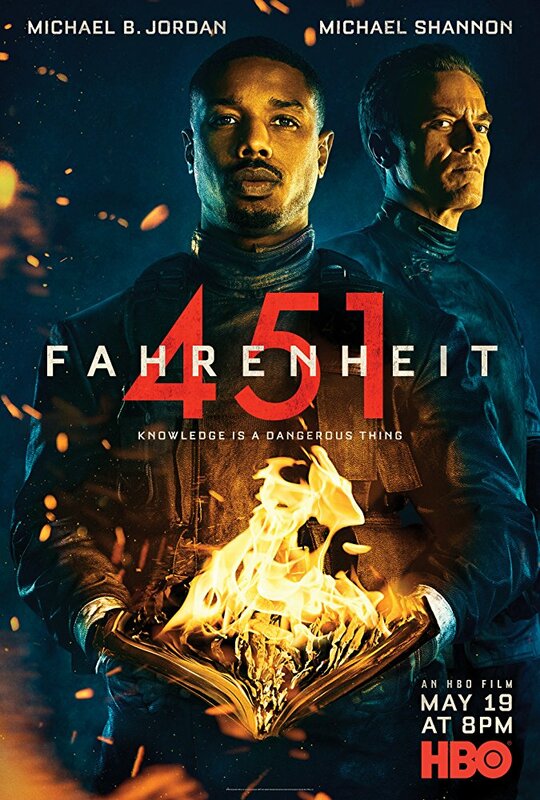 Adapted by Amir Nader and Ramin Bahrani, from the original novel by Ray Bradbury, and directed by Ramin Bahrani, Fahrenheit 451 is this weird mixture of being a modern adaptation and an original story featuring a few of the characters from the book. Michael B. Jordan and Michael Shannon star in Fahrenheit 451. Directed by Ramin Bahrani and written by Bahrani and Amir Naderi, the film is a modern adaption of Ray Bradbury’s classic novel. It depicts a future where the media is an opiate, history is rewritten and “firemen” burn books. Jordan plays Montag, a young fireman who struggles with his role as law enforcer as he battles his mentor, fire captain Beatty, played by Shannon. Sofia Boutella also stars as Clarisse, an informant caught between the competing interests of Montag and Beatty. Other cast members include YouTube star Lilly Singh, who plays a tabloid reporter named Raven, tasked with spreading propaganda and broadcasting the firemens’ book-burning raids.